“Hey, buddy! Such a beardo!” This quote has become a lot popular in past few years. The trend of growth and maintain beard is the new fashion statement. Well, growing a beard might not be a problem, but maintaining is. The most common question arises at this stage is – What’s’ the best beard trimmer to buy? Hey, why are you worried about this question? We have got the list of 10 Best Beard Trimmers that you can buy in 2019. Also, Go through the Buyer’s Guide at the end of this article to know what points to keep in mind while picking a Best Beard Trimmers. 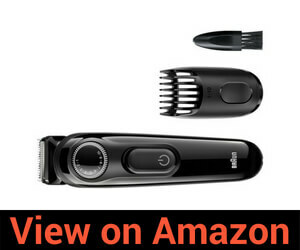 We have personally selected these trimmers after a lot of research on various e-commerce websites. Go through them thoroughly and then make a choice. 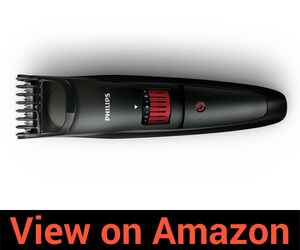 From one of the most reputed brands of Trimmers, Philips QT4011/15 is worth the value product for its specifications. Technology combined with astonishing designs could last longer as compared to other products in the market. The amazing trimmers from Philips offer you effortless and smooth trims. The blades used stay sharpened even after a year use. When it comes to trimming, Philips could provide you best ever grooming solutions. With the Havells BT5100C, you can get the beard that will turn women to you wherever you go. Be it clean shave or stubble shave, this can handle everything. 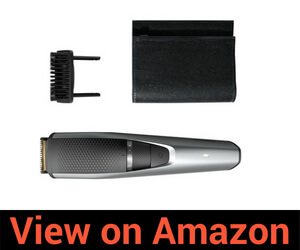 This trimmer comes with multiple options to adjust the length of hairs to be cut. USB charging port for comfortable charging with power banks etc. With the innovative lift and trim technology, it can trim your beard with 30 percent more speed. 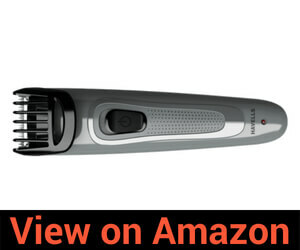 The trimmer is easy to handle and well-built. It can last up to 6 times longer than other trimmers in the market because of the Dura-Tech used. 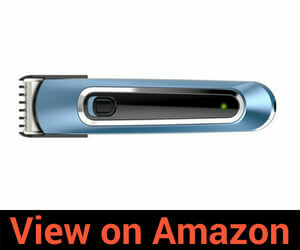 From one of the best electronics brand, Panasonic ER-207-WK-44B Trimmer is a dual, corded and cordless trimmer. With high performing cutting blades, trimming could be made easier and comfortable. It has the quick changing options for adjusting length. It is washable as well. 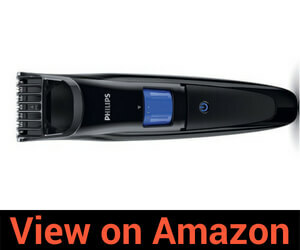 This is another great choice from the trimmer collection of Philips. Alike other Philips trimmers, the QT4005/15 has the self-sharpening blades made of stainless steel. Thus, it makes the trimming experience smooth and skin friendly. The BT6201 from Havells would provide you different types of beard length with the adjusting options with blades. 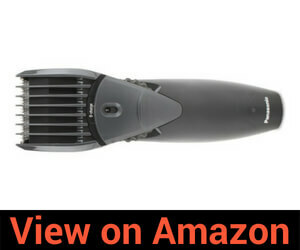 The upper end of the trimmer is detachable so that you can clean it with ease. The best part of this trimmer is that you get 90 minutes of battery backup in only 90 minutes if charging. Interesting, isn’t it? 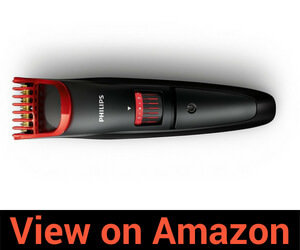 The Norelco Qg3330 from Philips is another great choice for crafting head and facial hair. The self-sharpening blades are made up of chromium steel ensuring long lasting and high performance. It is a kind of all in one tool for nose hair, facial hair, mustache hair and head’s hair. The Braun BT3020 Beard Trimmer is suitable for stubble, maintaining a full beard or even for trimming edges. The two detachable combs can provide 90 different length settings for amazing trimming experience. The precision dial gives you ultimate control over the length settings. 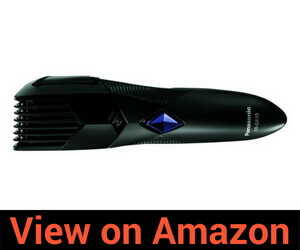 The Panasonic ER-GB30K could be another great choice for a beard trimmer. The stainless steel blades are long lasting with 4-degree edge cutting. Well, before you buy even a pencil, you look for the brand value and quality. So why not look for the Best Beard Trimmers that are worth the value. A perfect trimmer must have options to cut hairs in different lengths like 3 mm, 6mm, etc. This will give you the accurate length of hairs when you cut your beard. In this way, you can still keep a beard while removing unnecessary grown hairs. At first, you can decide what exact length will suit your personality. It will take a little time to know the exact shape and size of beard that suits you. 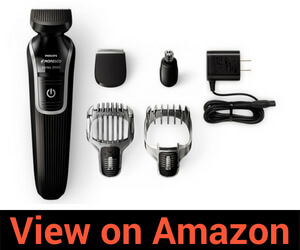 Just like any other electronic product, you should get the trimmers from a reputed brand only. In the market, you can find a hell lot of local and domestic brands selling their trimmers at cheap rates. I won’t recommend you get one from them. I personally prefer the trimmers that can be recharged. For instance, if you are travelling somewhere, you won’t carry a lot of extra batteries. Instead, you can just carry an adapter to provide you charge for the trimmer. Comfortable, isn’t it? Some models of trimmers come with a pre-installed spotlight. This spotlight could be pretty handy while trimming. Even in dim lighting or non-availability of proper lighting, you can trust this spotlight to accurately trim your beard. After selecting any product, you should always look at the price carefully. If the product does not fir for the quality under your budget, go for some other options. In this way, you can choose the Best Beard Trimmers for you. Phew… That was a long list of amazing trimmers that you can choose from in the market of 2019. Well, I’m damn sure you might have got the Best Beard Trimmers according to your priorities. Do let us know in the comments which one did you choose. And if we have forgotten your favorite one, do let us know. We’ll try to include it in further updated lists.